Your membership gives you many benefits including a FREE Discount Card which allows you to make savings whilst you are visiting your local shops or retail outlets which participate in the benefits scheme. The discount card incorporates the Shop&Save logo on the front of the card and is recognised at all shops throughout the UK which display the Shop&Save sign. Club Membership offers members with various cashback & discount schemes where each retailer will utilise one or more of these schemes within the Shop Instore or Shop Online categories. The Shop Instore category offers Reloadable Cards, Retail Vouchers, Digital vouchers, Print & Save Vouchers & Savings with the Shop&Save Discount Card. 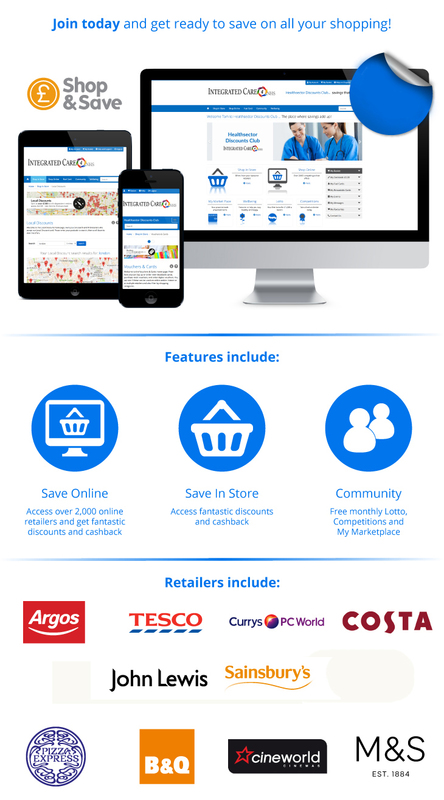 The Shop Online category offers Online Cashback & Online Direct Discounts & Codes. Don’t forget you can always recommend a retailer or a business if there is service you use regularly. 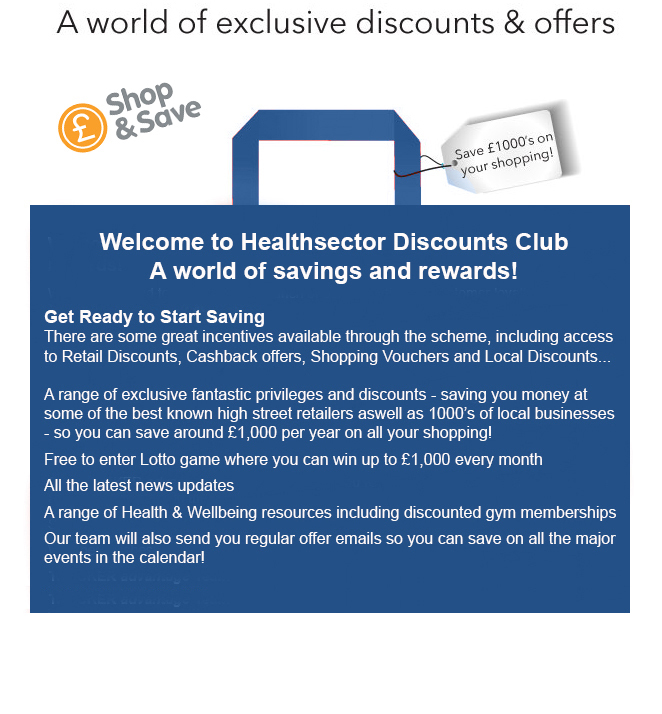 So why not join the Discounts Club today and start enjoying the benefits that membership offers. To join the club simply click on the link below and fill in your details and our brand new automated system will register your membership and ensure that your discount card is quickly dispatched and sent straight to your door. There is a small membership fee of £6.99 which includes a FREE discount card and P&P. You can also add 2 additional immediate family members at a cost of 99p each.